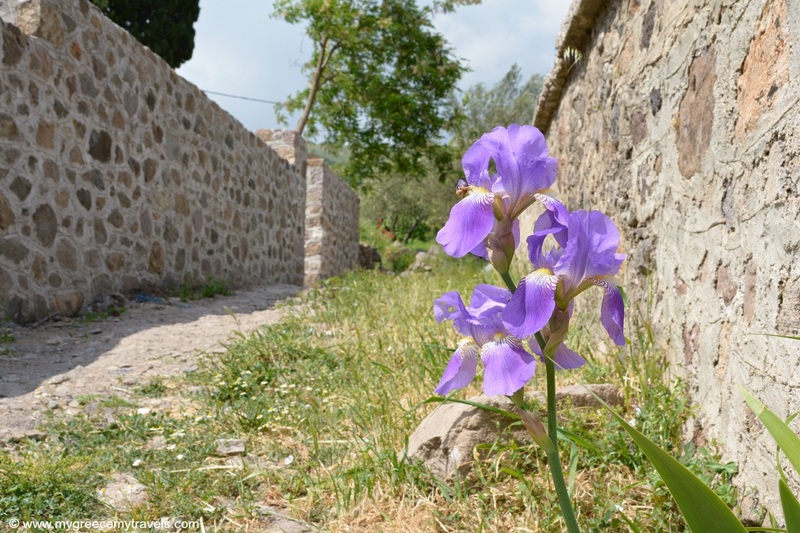 Exploring the villages of Lesbos was a highlight of my visit. 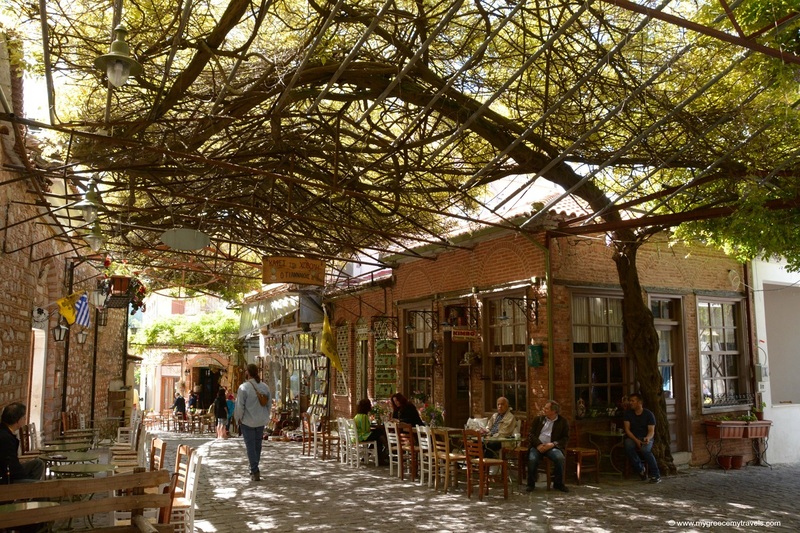 Here’s a photo tour of the top ten towns of Lesbos island to get you inspired. 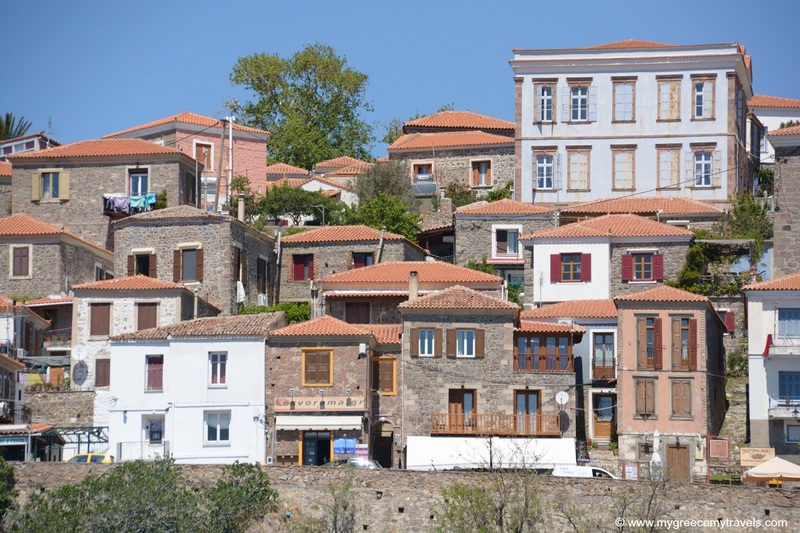 The lovely villages of Lesbos (or Lesvos) dot the diverse landscape of the island. There are dozens that transverse its mountainous regions and along its beach fringed seacoast. 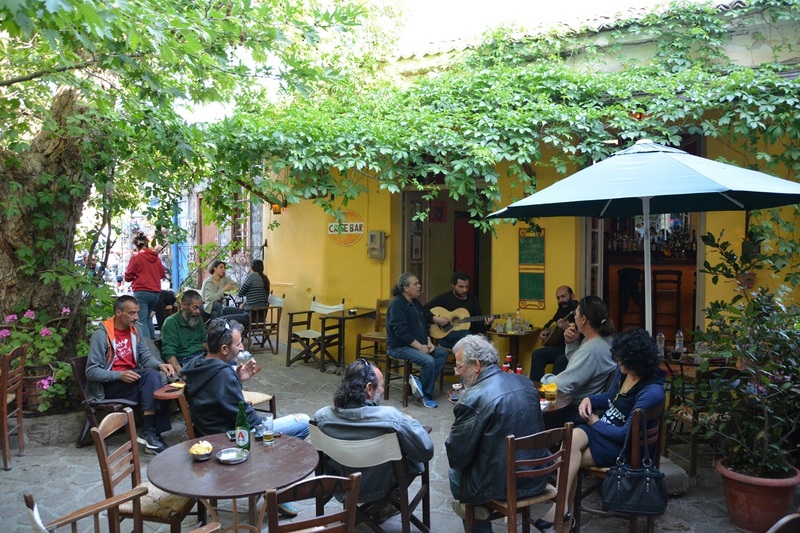 Some towns have famous names in Greece, others are more city-like, some are known for gastronomy while other villages are quiet, rural and low-key. 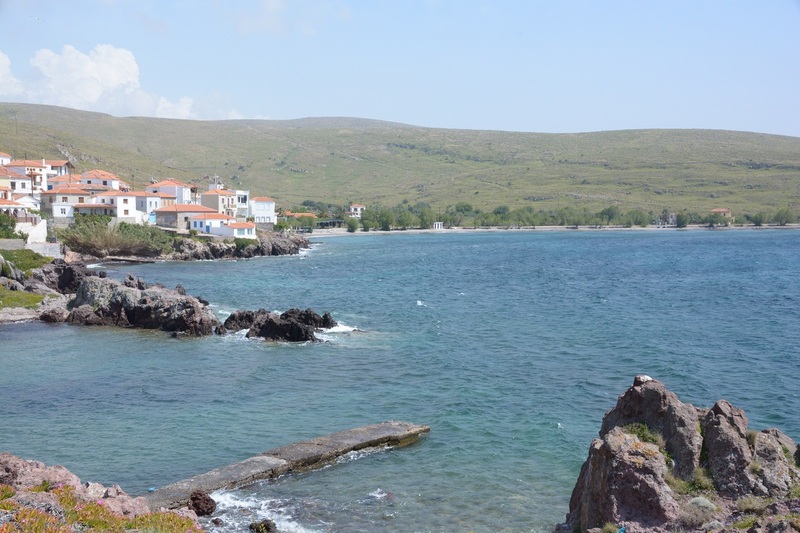 While I toured the island with locals, I had an opportunity to spend time in some of their favorite places on this charming and hospitable North Aegean island. Molyvos is my number one choice. Just seeing it from a distance took my breath away. The town is built on a hill and topped by a medieval castle. 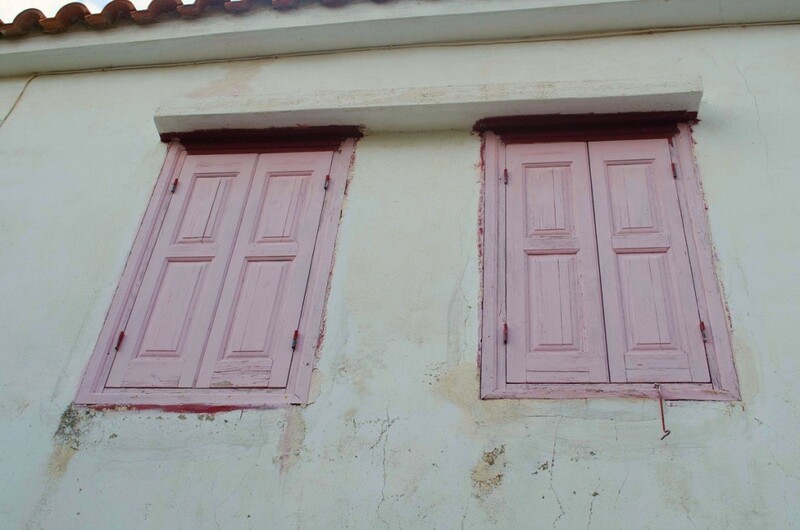 Molyvos has this harmonious color balance between its burnt amber rooftops, stone and wood buildings and pastel shutters and doors. The cobbled lanes feature beautiful Turkish water fountains. Its gorgeous mansions date back to the 18th century. The town’s history actually dates back to the Bronze Age. 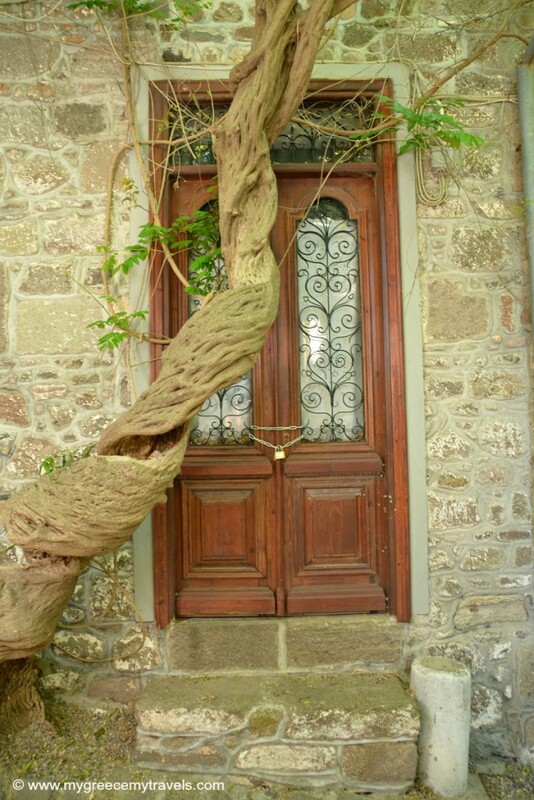 A charming door and awesome tree. Shady lanes to get lost in. 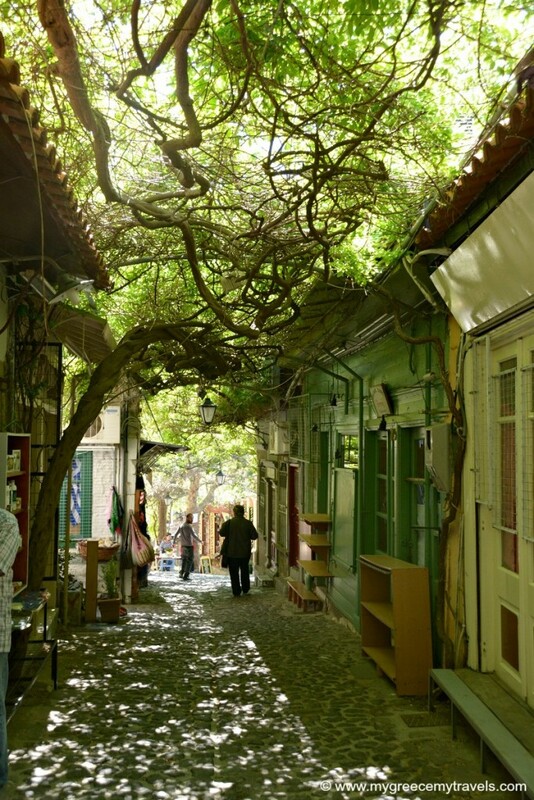 The beautiful colors of Molyvos village. At the top! 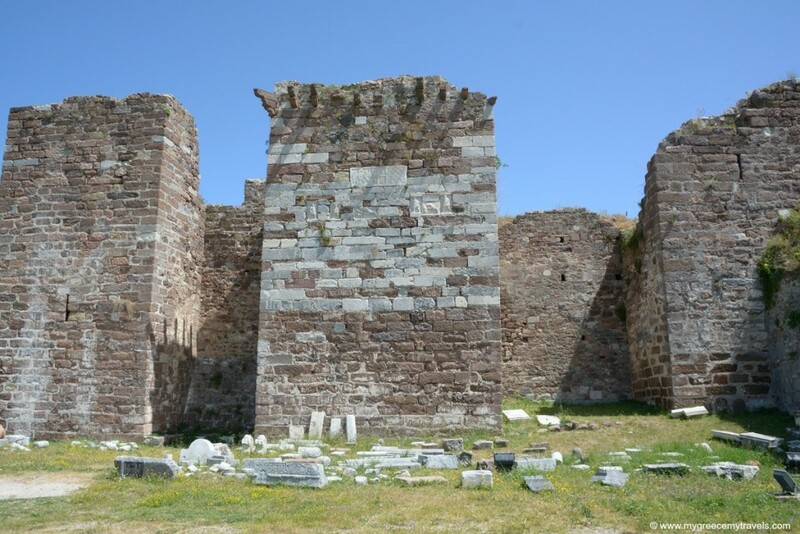 Castle fortress of Molyvos. Once you stir up an appetite, head to the harbor of Molyvos where small fishing boats dock in front of a promenade lined with terrific ouzeries and cafes. The Octapus is located on a perfect corner spot on the harbor. 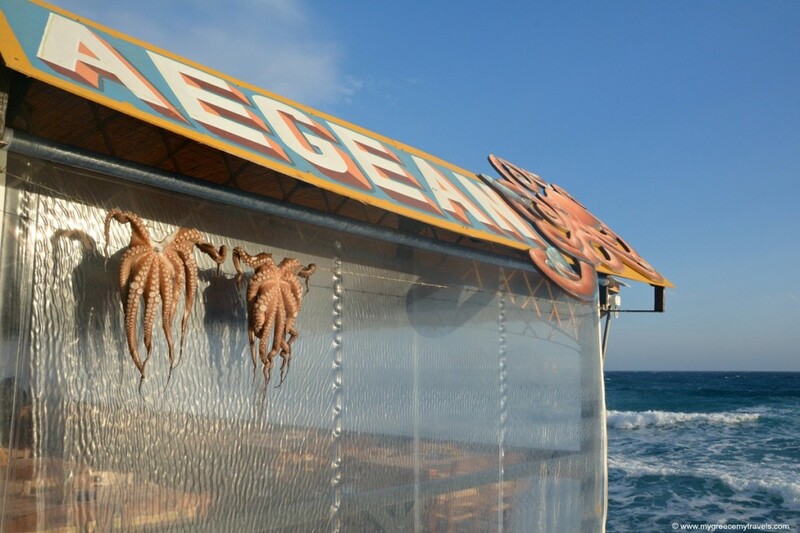 Famous for its seafood and ouzo. This is the capital of Lesbos, an ancient settlement now a modern small city that should definitely be on a traveler’s to-do list. There is much to see. Be sure to visit the imposing and stunning St. Therapon church that dominates its skyline. 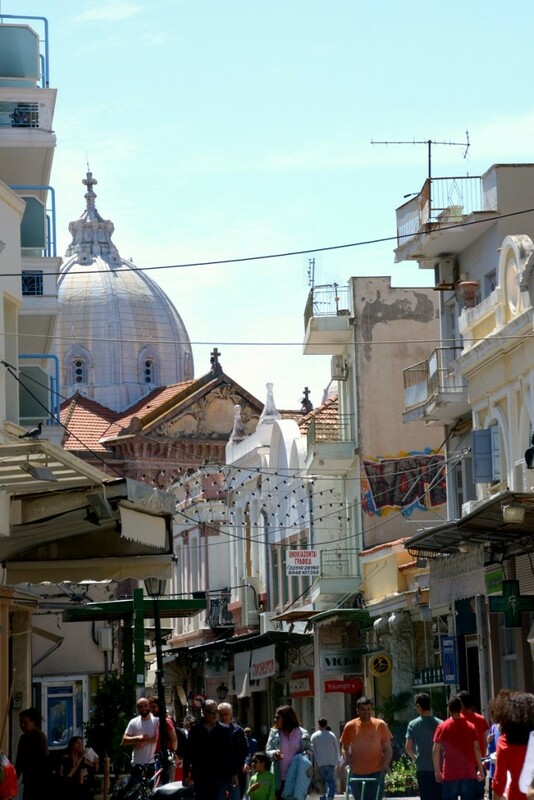 Ermou street is lined with mostly mom and pop shops, the shopping district of the island. Views of St. Therapon on Ermou street. 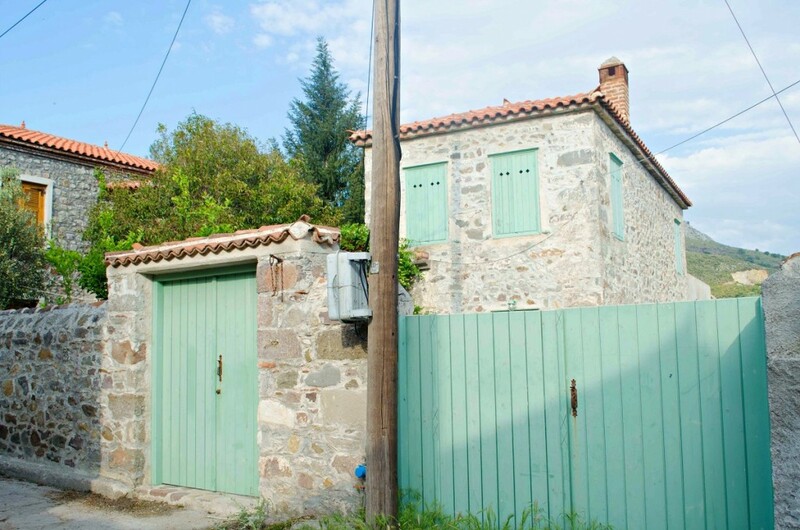 Stop and admire the colors of Ermou streets historic buildings. 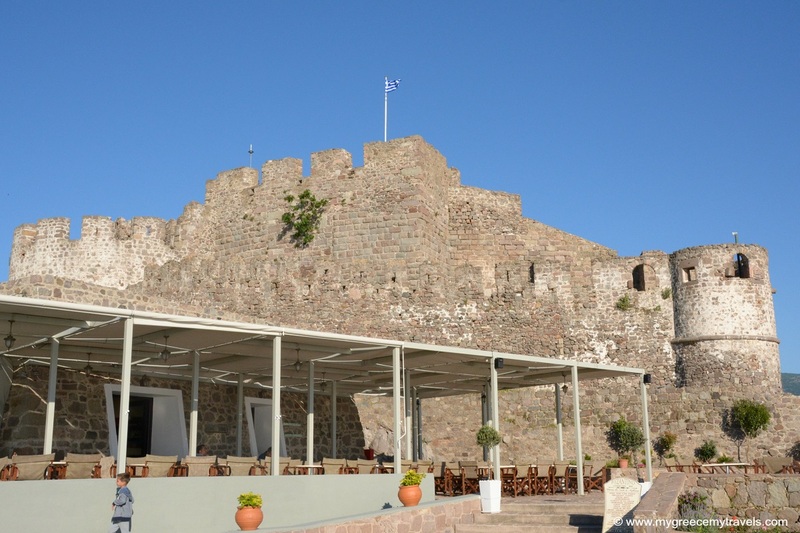 Visit the Castle of Mytilene and picture life back in the 14th century when it was an important fortress. 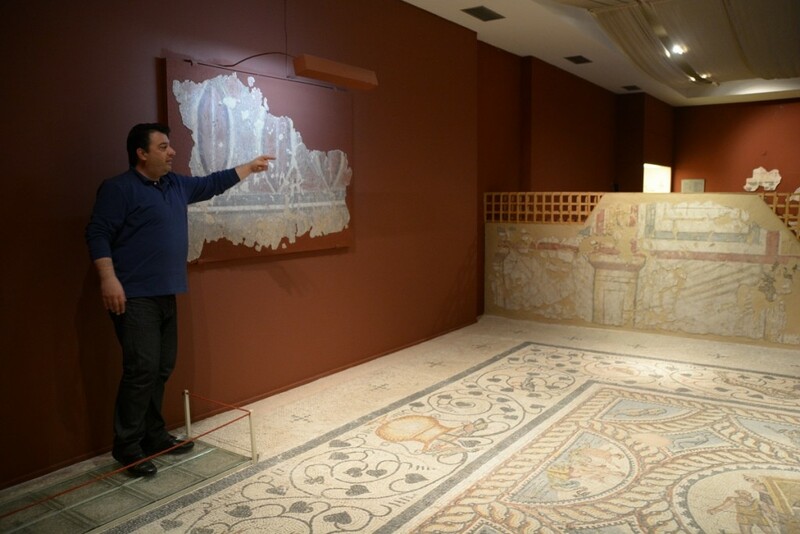 Delve into ancient history as you learn about the mosaics on display at the Archaeological Museum of Mytilene. 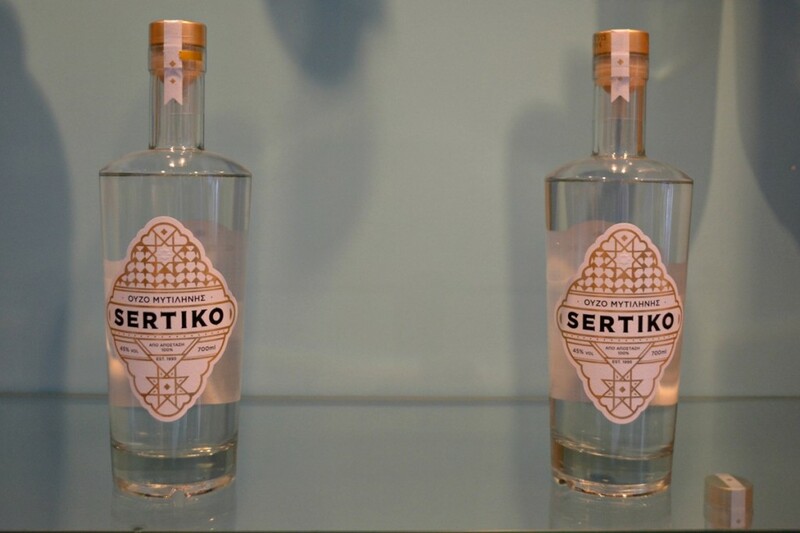 The Eva Distillery has an ouzo museum where you can learn about the origins of ouzo as well as how the iconic liqueur of Greece is made. 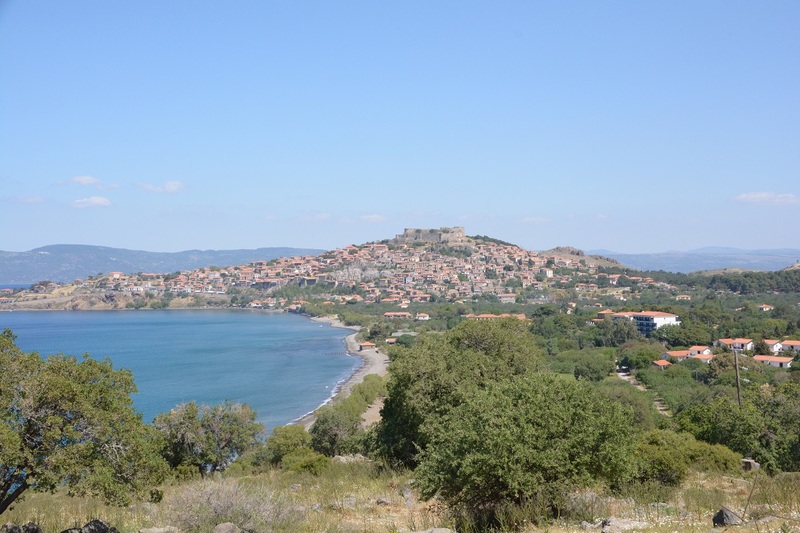 The view from the Castle of Mytilene. On the castle fortress grounds. The Archaeological Museum of Mytilene. 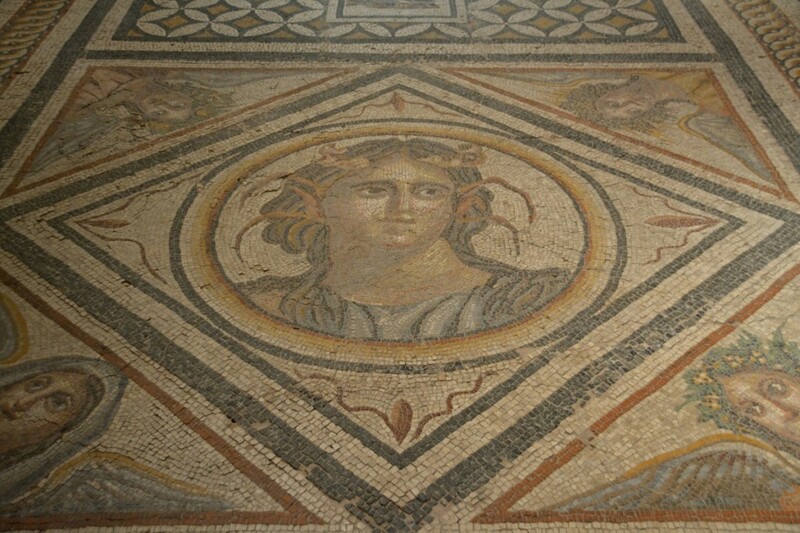 Amazing floor mosaics from historic villas. 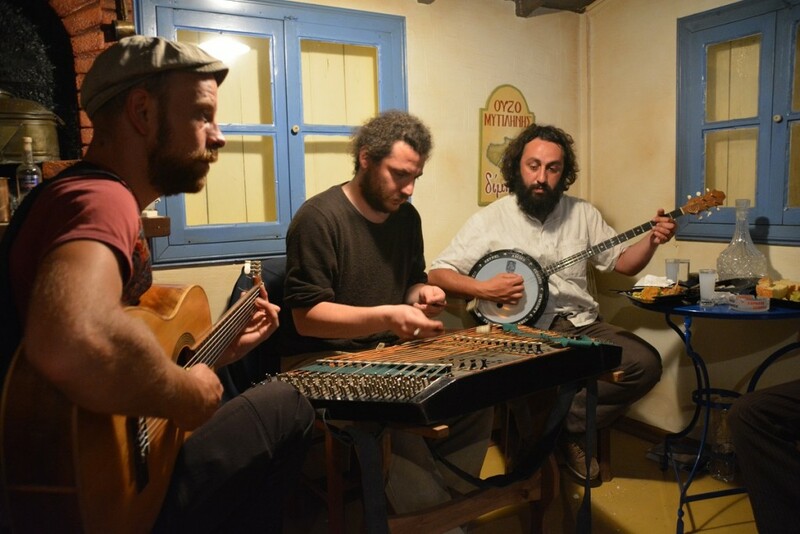 Talented musicians play at the EVA Distillery in Mytilene. 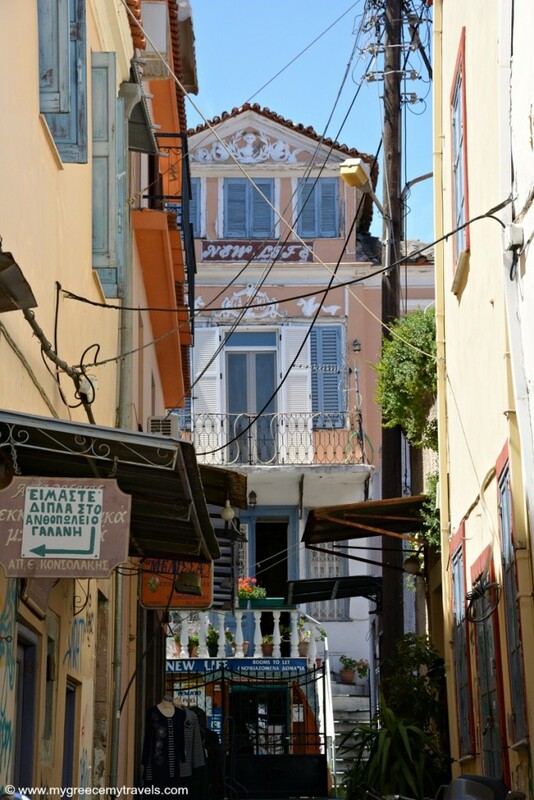 Beautiful neoclassical buildings and homes are scattered throughout Mytilene. Be sure to walk down its seaside promenade for excellent photo opportunities or relax with a coffee in its picturesque harbor. Marina Yacht Club a stylish harbor front restaurant with a view and eclectic Mediterranean dishes. Too many corners in this village were just picture perfect. 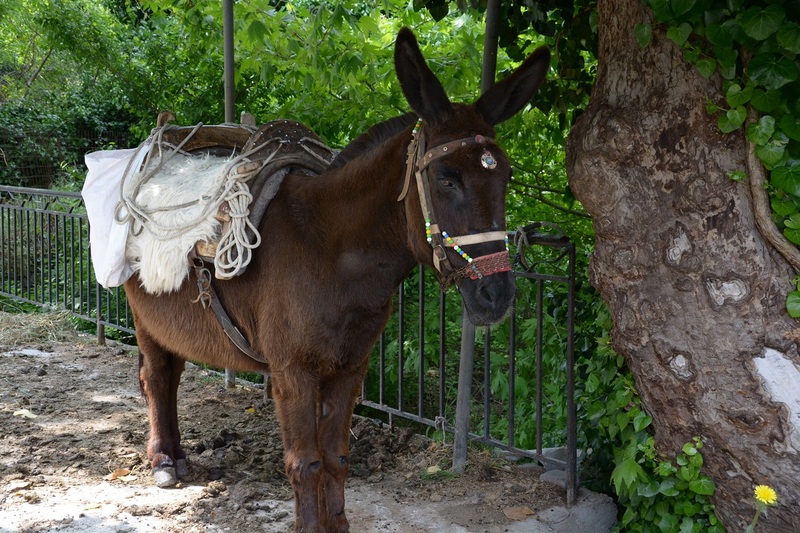 Agiassos, set on the slopes of lush and beautiful Mt. Olympus, is a calm shady traditional village surrounded by thick chestnut forests. 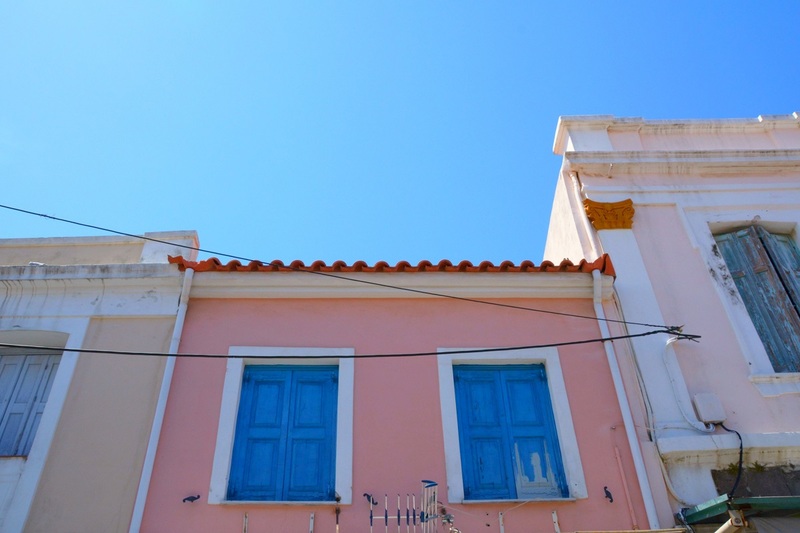 Agiassos is known for its lovely traditional ceramics thanks to its population of skilled craftsmen. The name of this mountain village originates from the inscription on a famous icon brought to Lesbos from Jerusalem. Who needs Best Buy or Public? This is where you get your electronics. 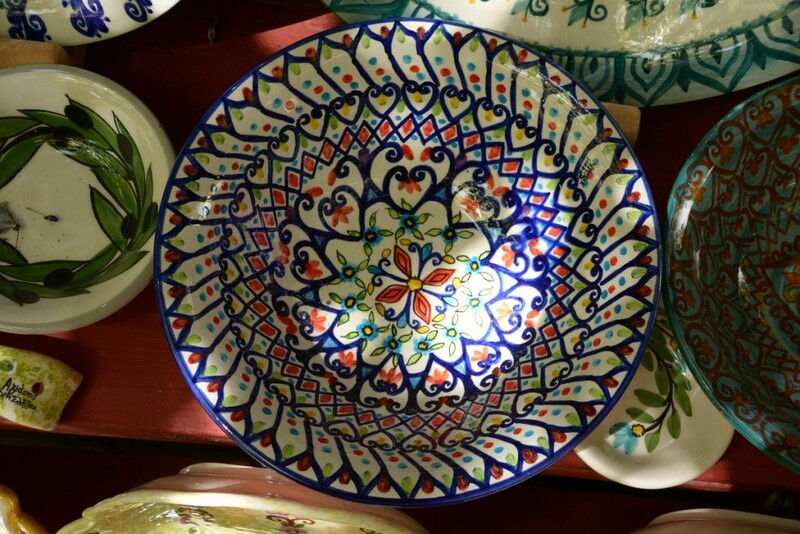 The beautiful ceramics of Agiassos. 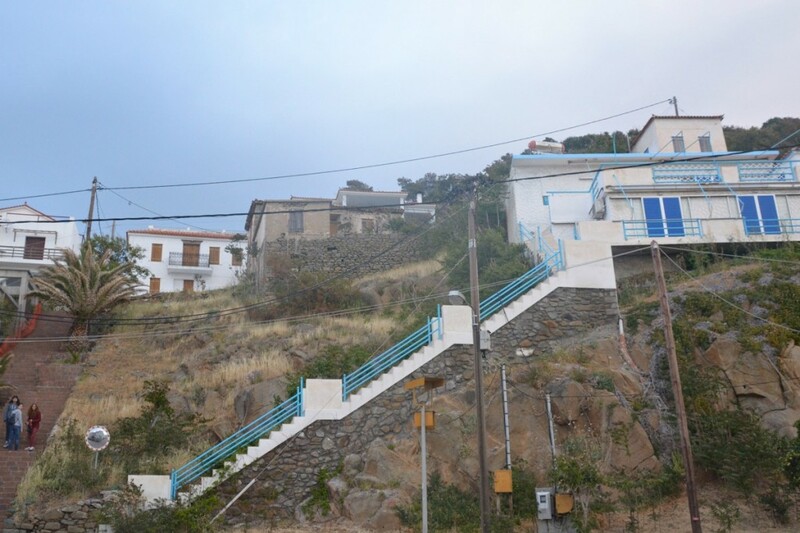 Asomatos is another one of Lesbos’ picturesque mountain villages. I definitely think this is one of the top villages of Lesbos for a combination of its hospitable people, its beauty and its delicious food. 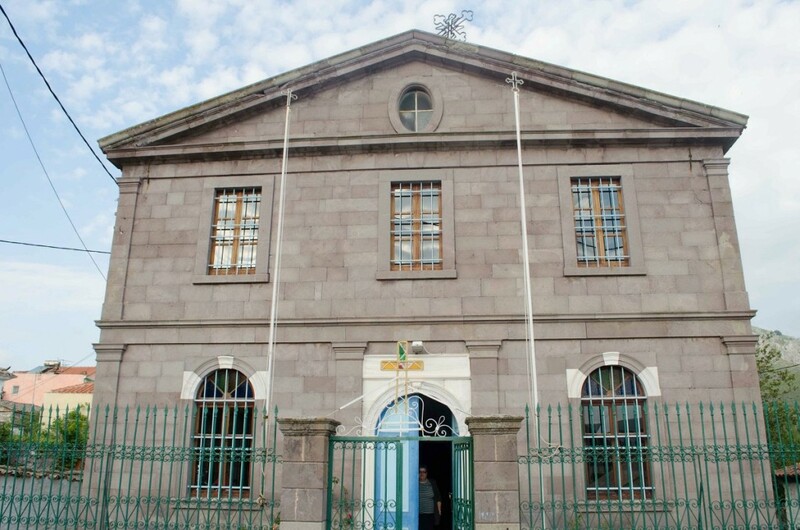 Here, the church of the Taxiarch in Asotmatos has stood since 1796. You can also visit a small and charming folklore museum on the church property. 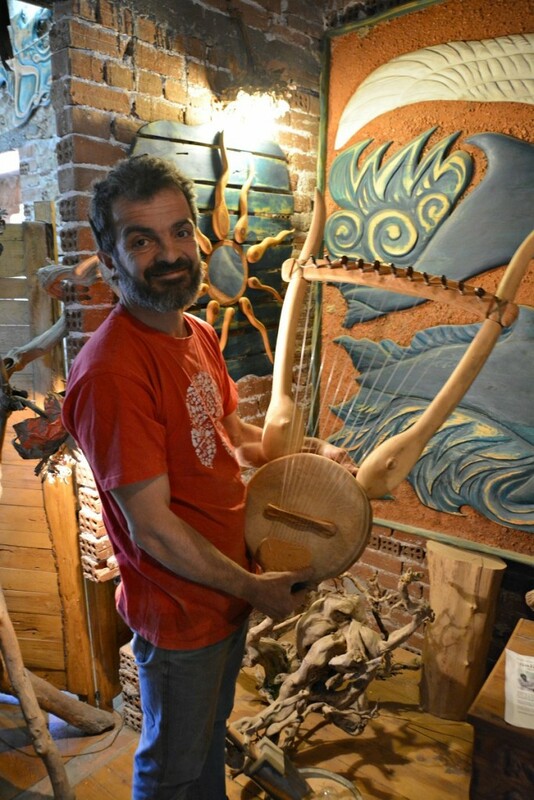 Also, if you love creative art check out the amazing woodwork of local artist Giorgos Sicomitellis at his workshop. Giorgos Sicomitellis is one talented local. 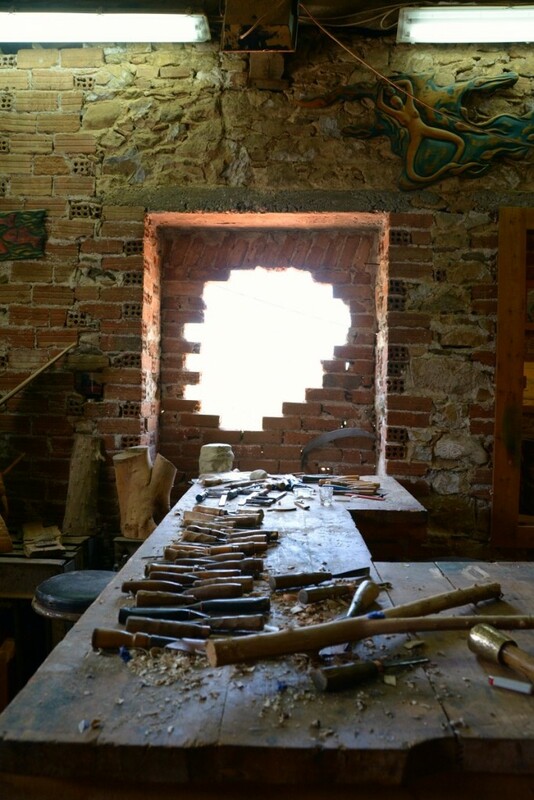 You can visit his awesome woodworking shop! I had the most amazing meal at Maria and Stratos Kafeneio, a picturesque corner steki in town. Not only are Maria and Stratos incredibly nice, you’ll feel like you are on a movie set with such surroundings. Ouzo, good food and good company equals a great afternoon in Asomatos at Stratos and Maria’s kafeneio. 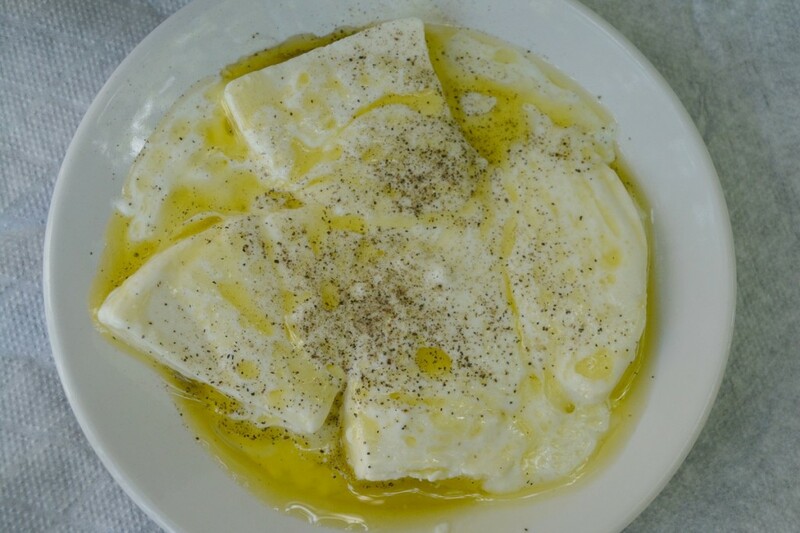 The Greek cheeses of Lesbos are incredible. Order the salamura and ladotiri cheeses and also try whatever salads and small plates they have prepared for the day — of course with ouzo! 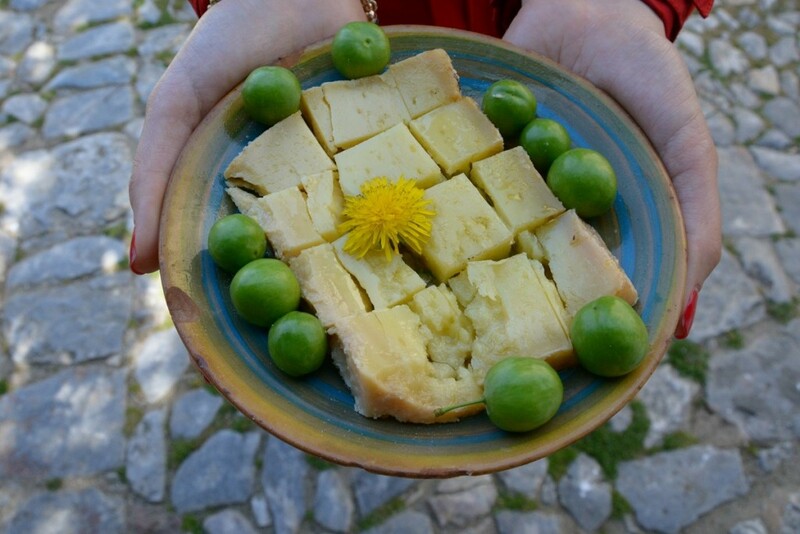 First settled in the 10th century, the name Vatousa translates to a place rich in berries. The sleepy village is home to the stately Gogos Mansion, a 19th century neoclassical mansion turned museum. You’ll slso find the impressive stone Church of the Dormition of the Virgin which dates back to 1850. 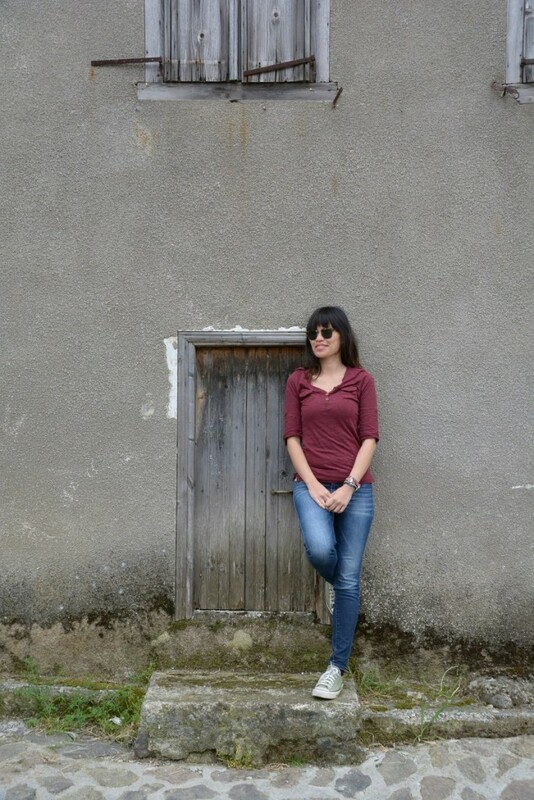 A little door and me in Vatousa. Gogos Mansion is a pretty stunning sight in Vatousa. This is the kind of village where you’ll find not much going on at all. I think that’s the main reason to check it out! I loved poking around its authentic corners and admiring the colorful flowers that jutted out of its uneven cobblestone paths. Along with a few residences, some abandoned stone buildings with colorful accents dot the village. JIthra is overrun with nature. How beautiful is this village?! We didn’t bump into any villagers while we were there but we did run into this little guy. Oh, and this guy too. That was the extent of the action in pretty little Jithra. This seaside fishing village on the Gulf of Kalloni is a charming place to get to know in Lesbos. I stayed in this village which maintains its authenticity quite well. It is lined with great eateries, a beautiful beach, a charming harbor and small family-run shops. Skala Kallonis is also famous for its sardines. 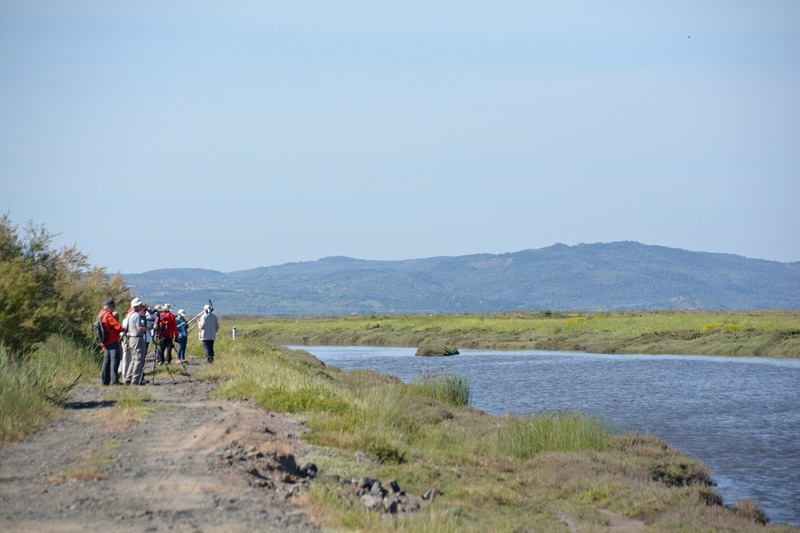 Birdwatchers head to the nearby wetlands of Kalloni Bay every season. 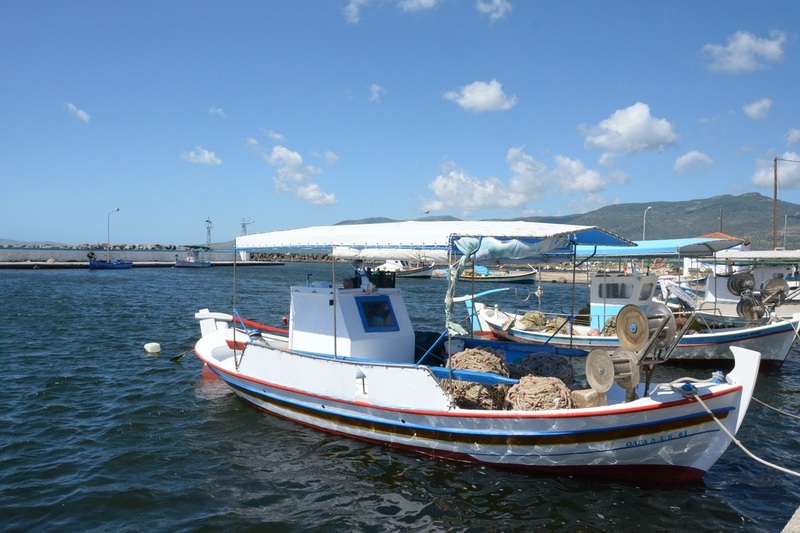 Fishing boats in Skala Kallonis. 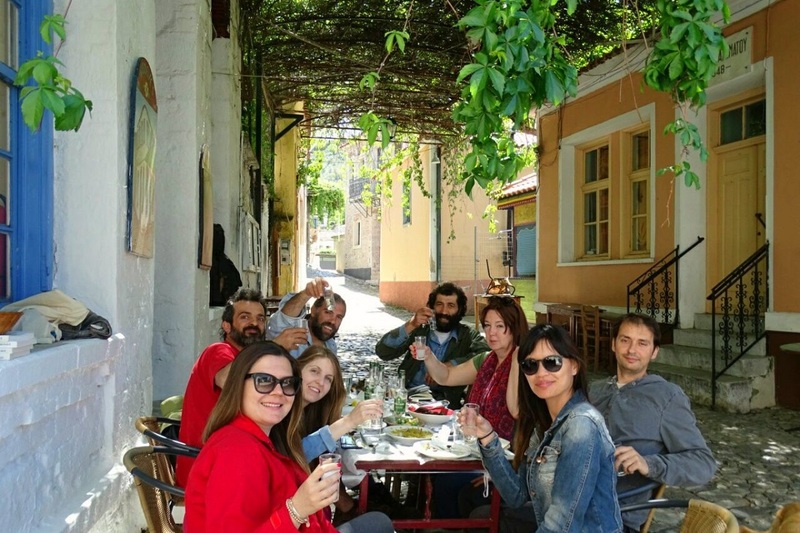 Awesome seafood at Mimi’s, delicious Mediterranean dishes at Caprice Kitchen Bar, great seafood and meat dishes at Dionysos, and excellent Greek traditional plates at Ambrosia taverna. Definitely stop for the best ice cream on the island at Pagotelli. 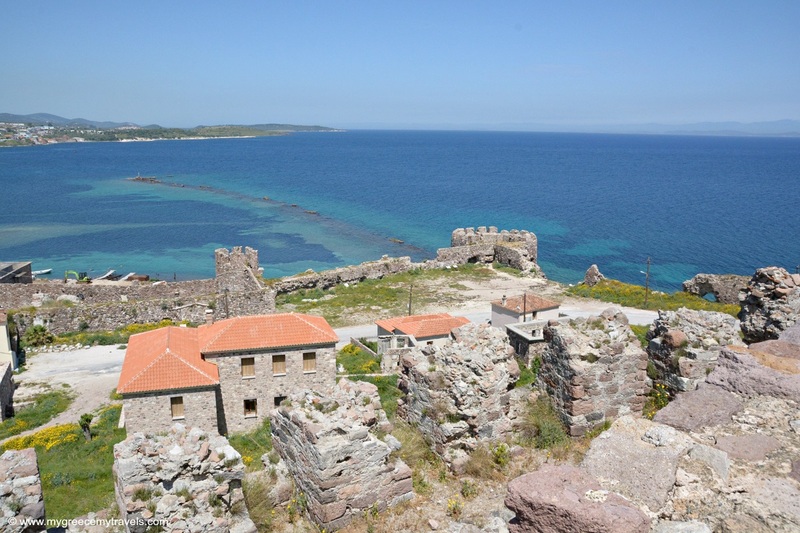 This fishing village near the western tip of Lesbos boasts a 18th century Turkish castle built during the Ottoman occupation. The views over the bay and Nissiopi island are beautiful. 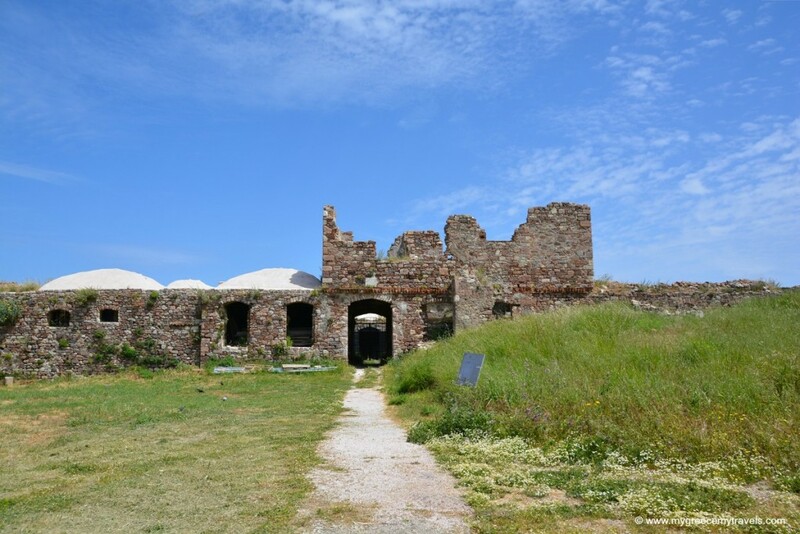 The Lesvos Petrified Forest Museum and the petrified forest is nearby and definitely worth a visit! It is one of the only petrified forests in the world. 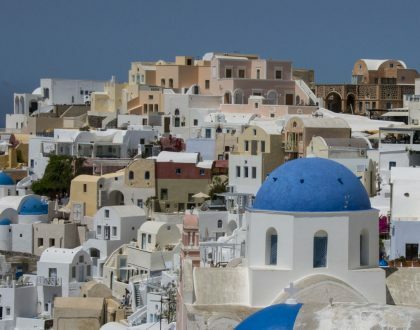 Eressos is a famous village thanks to its famous ancient Greek residents. The famous feminist poet Sappho and Aristotle’s successor and the father of botany Theophrastus lived here. The town itself has an archaeological and a folklore museum as well. Head to Sam’s taverna for traditional Greek plates. Also specializes in some authentic Lebanese dishes! 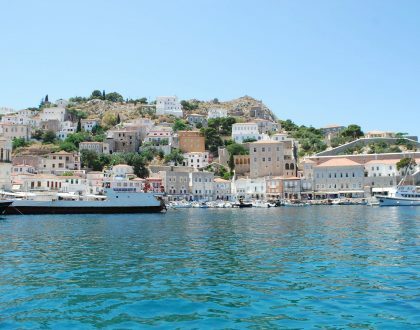 Skala Eressos is a must-see gorgeous beach town. This three-kilometer stretch of coastline features dramatic sea views, a calm beach resort area and a charming seaside town lined with bars, taverns and shops that are right next to the water. As sun sets on Skala Eressos beach. Wow. Octopuses in the sun by the boardwalk. 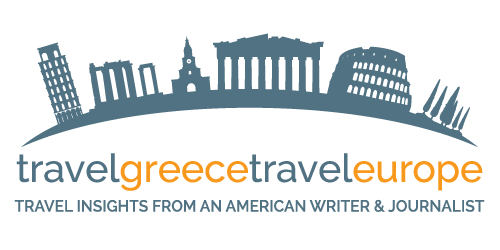 It’s also the famous birthplace of the lyric poet I mentioned earlier named Sappho. 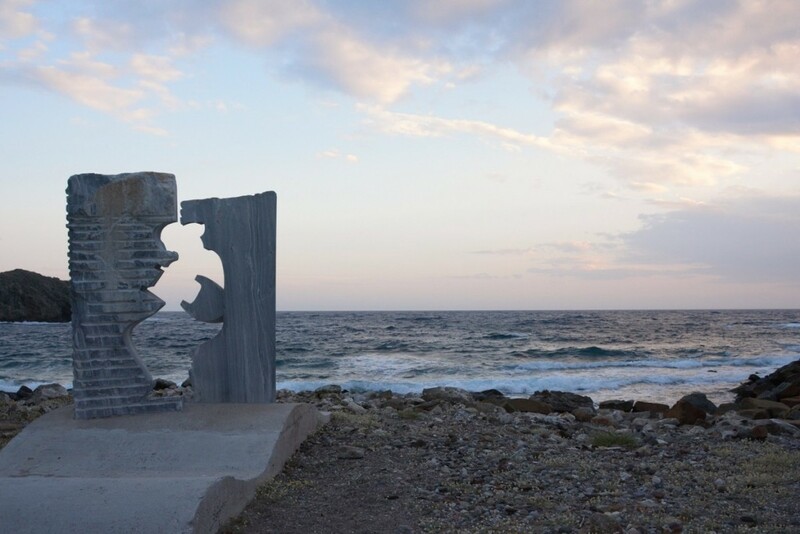 There are some impressive sculptures that line the Skala Erresos boardwalk dedicated to her ancient Greek works. One of many creative monuments in honor of Sappho. Stunning corners of Skala Eressos. I didn’t get to see all of the villages of Lesbos. Although, I wish I had! Plomari has very famous name in Greece thanks to the ouzo that is produced there. Petra is another village known for a legendary monastery that sits on top of a towering limestone rock. When we passed it we couldn’t help but refer to the town as mini Meteora! 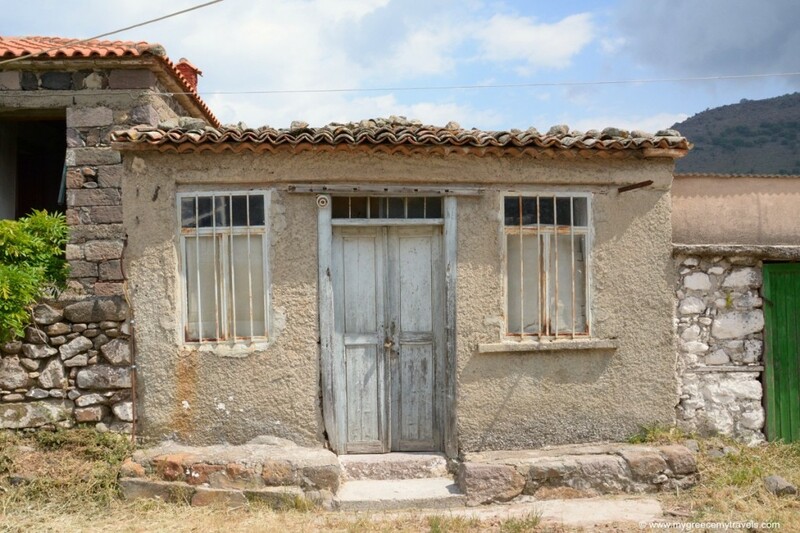 Other well known and picturesque villages to consider heading to are Mantamado, Kaloni, Vassilika, Skalochorio, Skala Sykaminias near Eftalou and Tarti. 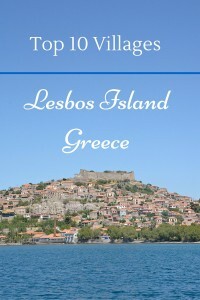 For more about where to stay, what to do and where to eat on Lesbos, visit my mini-guide about Lesbos on this blog. Very nice post p mou! Lovely photos! Hi Panos, Thanks for stopping by. Yes, there wasn’t enough time to visit all. However, these were suggested by the locals who were my guides. Lesbos is a big island with many places indeed! Which towns would you suggest I go to next time? I would love to know! Hello Marissa..If you get another chance to visit Lesvos, I will be happy to show you the South side of Lesvos, the Gera region and its villages, Plomary and it villages, also the Gulf of Gera. Probably need 3~5 days for this. Also notworthing is to visit the small ouzo factories research their story. 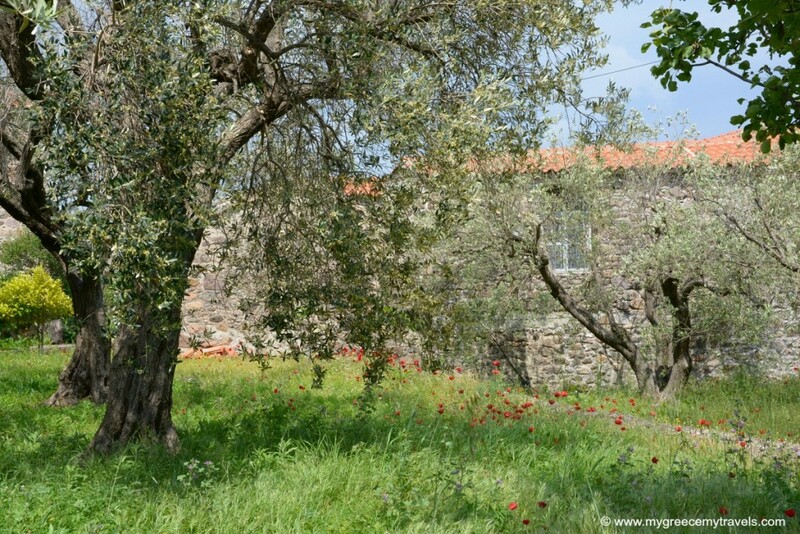 But the most important part of Lesvos is the olive tree, and the olive production, to visit as well the olive oil plantations as well as some of the museums, one of witch is located in Papados Gera. Hi Panos, Thanks so much. Yes, Lesbos is indeed a large island. So much to see. I appreciate your offer. I will definitely see Plomari next time. Good point about the olive oil. I really liked it there. Light and delicious. You’re lucky to know such a beautiful place in the world! 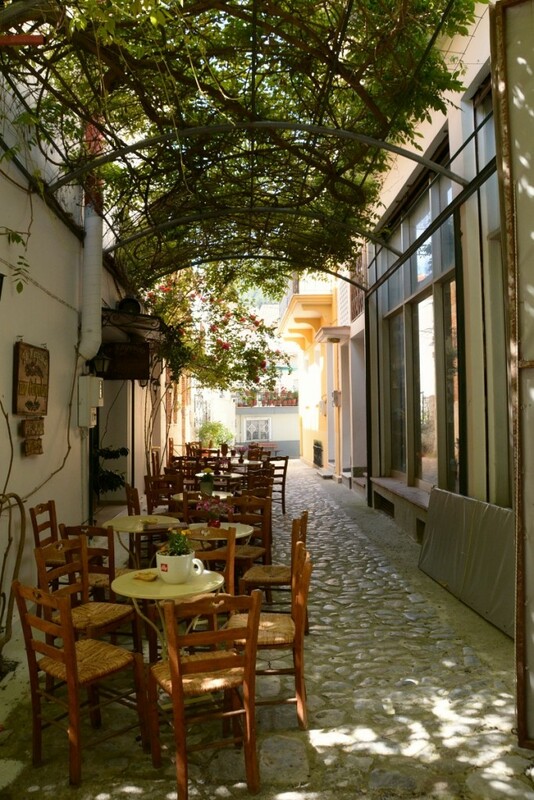 Agiassos looks absolutely stunning and I like all your restaurant recommendations – very handy! Hi Suze, Thanks so much for stopping by! Agiassos is so nice. A beautiful place indeed. Good to see you have Molyvos at #1, but you forgot Skala Skamia near Eftalou. Perhaps it’s better that this place remains a hidden gem. Hi Mike, Okay, great to know! Skala Skamia near Eftalou. I’ll add it to the end of the post now so readers can choose to check it out! What do you love about this village? 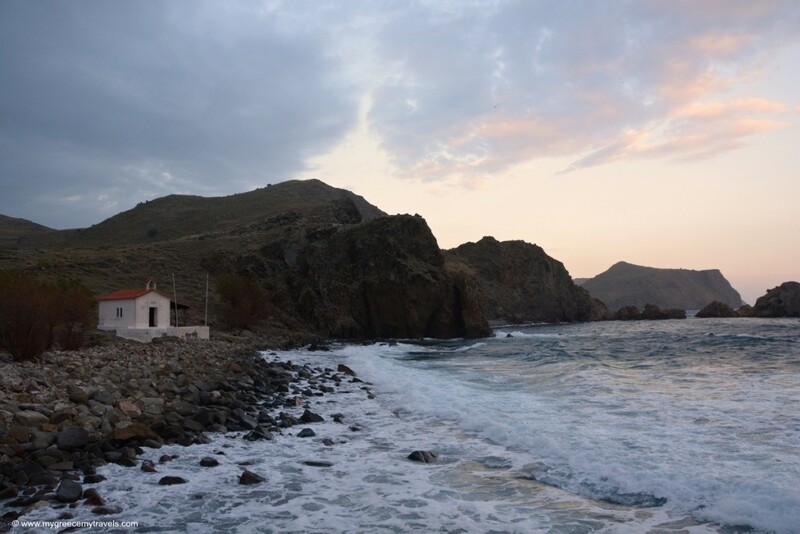 You definitely need to get to Plomari, spent Easter there myself this year, staying in nearby Agios Isidoros. Hi Sally, Thanks for the spell check! Cool. Yes, while I was there my local tour guides said Plomari was a must and they were bummed we didn’t make it. 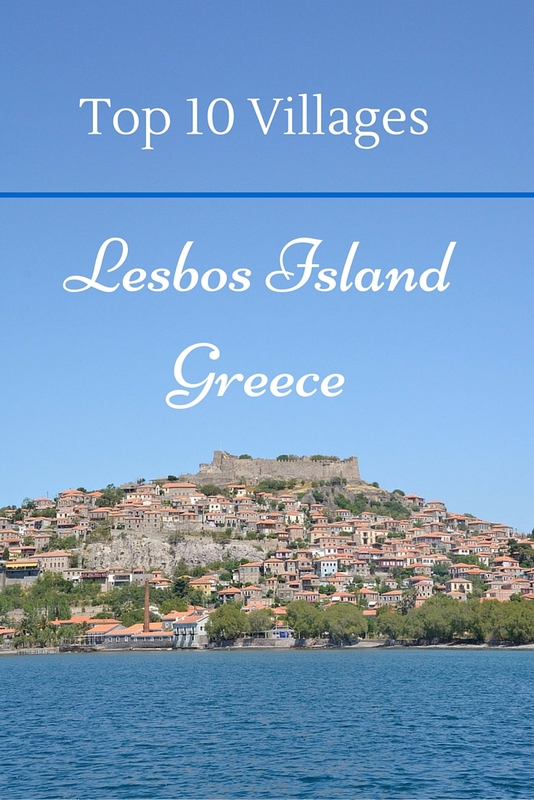 So many things to do on Lesbos — so little time. I could’ve easily spent another week or two visiting villages. thanks for the tip on Agios Isidoros. 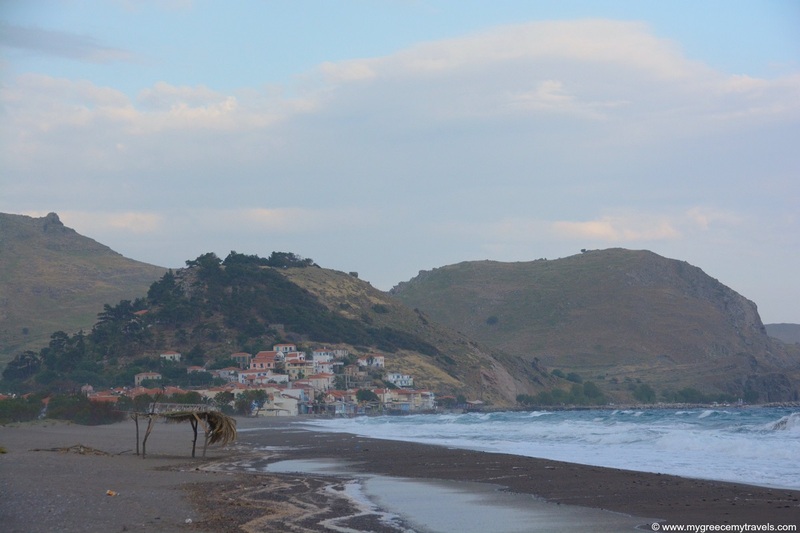 Yes, Lesvos is a rare pearl, rich in nature on different scenarios, interesting for ornithologists, entomologists, geologists and who ever likes more then only lying on the beach. Hi Menga, Thanks for the comment. So very true. I had no idea how rich Lesbos is in natural resources and how full of nature it is. So impressive. You can’t help but appreciate Mother Nature when you’re there! Hi Marissa, I was born in Agiassos and seeing these photos reminded me why I have such a strong connection to this land even though I haven’t lived there since I was 6. Thanks for the memories. 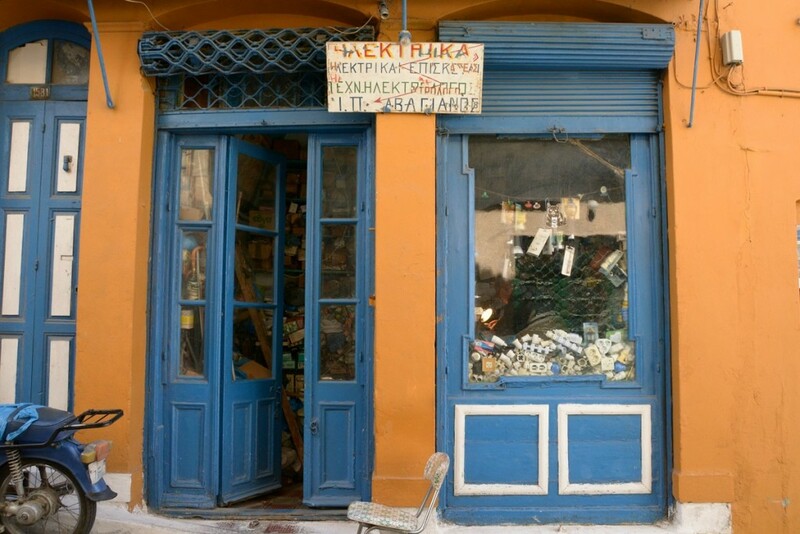 I also have a blog but it’s on repurposing old things and greek photography. Hi Mary, Thanks for stopping by. Very cool. You have such a lovely village to claim. I checked out your blog, and I look forward to your posts. Beautiful photography! Thanks for sharing great tips! 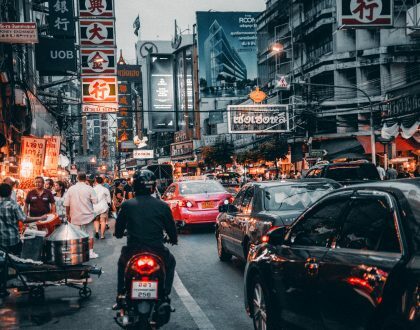 This information is really helpful to make your trip hassle free and memorable. I want a chance to see the real village, with no tourist influence! Great blog. 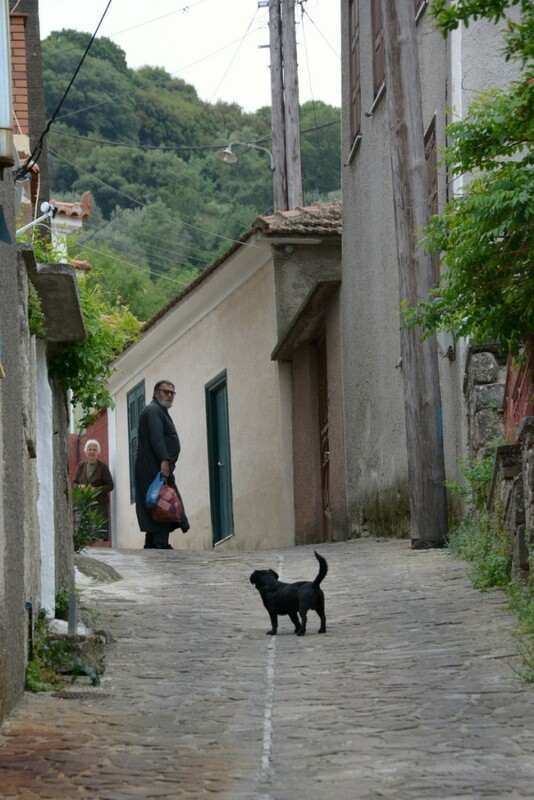 I have traveled to Italy twice, but this is the real way to do it live like a local, spend time in small towns and see how life is on a regular, non-tourist basis. very nice.